Li Ke, born in 1944, Jiangsu Province, Xuzhou, 1960 was admitted to the Affiliated High School of China Central Academy of Fine Arts. 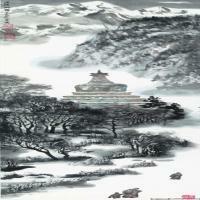 In 1973, father Li Keran began learning landscape. In 1979 into the Beijing academy. 1985 to 1987 into the Chinese Painting Department of China Central Academy of Fine Arts, and participated in the Japanese painter Kayama Yuu held a short seminar. Is now a national artist, member of China Artists Association, member of Chinese Photographers Association, Beijing Academy of Arts Council director, Li Keran Art Foundation Chairman, Mount Huangshan Academy of painting and calligraphy, the Ministry of culture and art evaluation committee, Chinese Tibet protection and Development Association, an association of China painting, China Heshan painting Artists Association vice president. Li Xiaoke was influenced by the family favorite Chinese painting, in 70s the last century began to assist his father Li Keran creation, life, and under his father's guidance systems Chinese landscape painting. Since 80s has more than 30 in-depth Tibetan area of Western Tibet, Qinghai, the Yellow River, Gansu, the source of the Yangtze River source of painting and photography, life experience. In recent years, many went to Mount Huangshan, Taihang Mountain, Yanshan and other places to sketch. The artistic creation in the painting tradition and Li Keran China inherited the spirit of the art at the same time, with an open attitude, focus on absorbing foreign art nutrition, depth to life, to find their own personalized era, from the strong feeling of the life in the painting language, performance based on heavy experience, formed a special ink painting style. The ancient capital of Beijing, Tibet, Mount Huangshan has become the three important parts of the art creation ink home "series, its distinctive painting language and style by professional recognition and praise, both at home and abroad of attention and welcome. 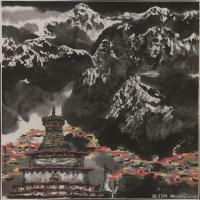 2003 began to create "Tibet trace" series of prints, to the Tibetan special perspective of the humanities and visual performance of the exploration caused by the arts and the community's strong repercussions. 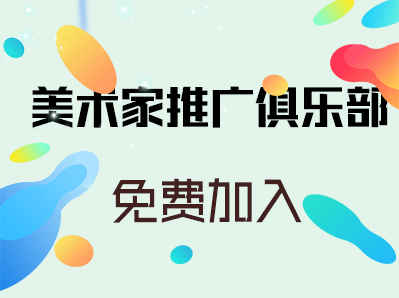 Over the years to actively participate in the promotion of public art undertakings, adhere to the education of Chinese landscape painting, cultivate a number of young and middle-aged landscape painters, students. Planning a number of important academic art exhibitions, and special attention to the development of Tibet's art career. 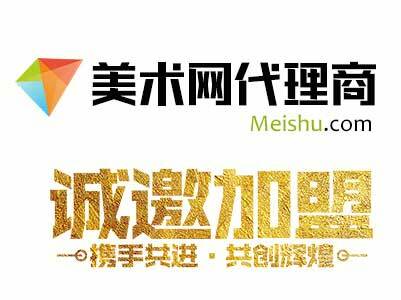 Since 2005, sponsored planning "snow on" "beauty of Tibet" Tibet contemporary art exhibition, to make efforts to promote the development of contemporary painting in Tibet. Because in August 2015 to commemorate the 70 anniversary of victory parade, the Tiananmen gate was the creation of a huge Our wills unite like a fortress. for landscape works ". Paintings and prints by many art galleries, important institutions, collectors at home and abroad. 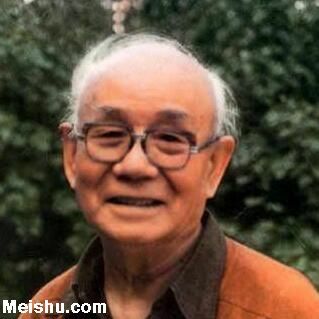 Li Xiaoke was born in December 20, 1944 in Sichuan, Chongqing diamond slope. With his parents moved to Beijing in 1946. In 1948 the family moved into the Beijing Dongcheng District Yabao alley on the 2. 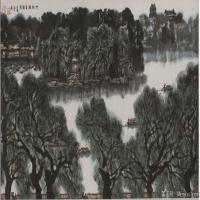 1960 entered the Affiliated School of China Central Academy of Fine Arts fine arts foundation. Enlisted in 1962 and served in 4582 Tangshan. From 1968 to 1977 demobilized assigned to Beijing internal combustion engine general factory forging shop, blacksmith in recent ten years. In 1978, Li Keran went to Mount Huangshan to help his father, Mount Jiuhua painting lectures, with his father began to study painting system. In 1979 into the Beijing academy. 1986 to 1987 to enter the Chinese Painting Department of China Central Academy of Fine Arts, Lu Shen, Zhou Sicong painting seminar. 1987 to participate in the famous Japanese painter Kayama Yuu short figure painting seminar. 1989 in the central process Academy of Fine Arts "modern constitution" refresher class study. Li Xiaoke based on the feelings of life, pay attention to absorb the foreign art nutrition, depth to face life, to find their own personalized from the strong feeling of the life in the painting language, performance based on heavy experience, formed a special style of painting. 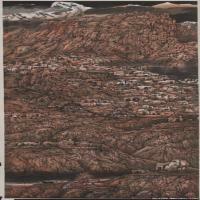 Beijing, Tibet and Mount Huangshan become the three important components of Chinese painting "ink home" series. Held in 2005 "ink homeland Li Xiaoke ink painting exhibition" (Beijing China Gallery), held in 2008 "ink homeland Li Xiaoke ink painting exhibition" (Macao IACM Gallery), held in 2009 "ink homeland Li Xiaoke ink painting exhibition" (Taipei, Sun Yat Sen Memorial Hall), held in 2012 "ink home Li Xiaoke's ink painting exhibition" (Beijing Chinese Gallery), held in 2013 "ink homeland Li Xiaoke ink painting exhibition" (Jiangsu, Xuzhou Art Museum, Guangzhou Art Museum, Guangdong, 2014) held home - Li Xiaoke Ink Exhibition "(Shanghai, Palace of Fine Arts, China) held in 2015" ink home - works of Li Xiaoke Exhibition (Nanjing Art Museum of Jiangsu Province, Taipei, Sun Yat Sen Memorial Hall). Li Xiaoke since 1988 has more than 30 times into the Tibetan experience, folk songs, shooting more than 10000 photos. In 2003 Li Xiaoke began to explore these works re creation, the combination of print language and documentary photography, creating "hidden traces" series prints. These works become another new artistic expression system of Li Xiaoke's "ink home" series. Li Xiaoke and hid a deep affection, in the experience of life at the same time, the development of special attention, support Tibet art career, contributed to the formation of contemporary Tibet painting. 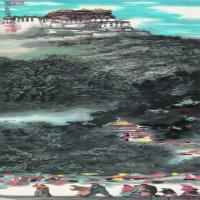 Since 2004, sponsored planning "snow on" "beauty of Tibet" Tibet contemporary art exhibition. In 2004 Li Xiaoke training class at Beijing art academy began teaching of landscape painting, has taught hundreds of students in 2005, on the basis of the establishment of the "Li Xiaoke art studio", after several years of hard work has gradually formed a "Lee landscape" spirit and style of painting. In 2013, he opened the "Li Xiaoke tutor studio graduate course class" at the Peking University, any senior instructor. Over the years, in addition to insist on creation, Li Xiaoke Li Keran is committed to promote artistic spirit, carry forward the traditional culture, since the beginning of 1980s, the Li Keran art exhibition planning, organization meetings, and held various large academic seminars, and edited and published dozens of paintings. 2007 planning, organizing "century can be dyed - to commemorate the one hundred anniversary of the birth of Li Keran" series of activities, (Beijing, China Art Museum), edited and published album books, such as the nineteen. "Ink home" is one of the themes of my concern and performance over the years. Today, many of us are very familiar with the history, culture, experience, emotions closely linked to the home environment, in your time to look back attention, unknowingly disappeared. The quiet Beijing courtyard, Beijing Hutong, palace under the willow, outside the imperial city walls, the old tree lined...... All of these affects people's emotion and spirit, become dependent on people's emotional sustenance. I hope to use my ink language to express the strong impression and memory that gradually fade away. In order to find new painting language and feelings, I have repeatedly to the western tibet. After the source of the Yellow River, the source of the Yangtze River, Mount Everest, Qaidam, Ali, Nagqu, Maqu, Xiahe, luqu...... I have a close encounter with Tibetan Tibetans. Tibet's broad, vast and pure, real hot, Tibetans just defended and honest, gave me the shock -- that is a mysterious place that everyone dreams. Trying to get closer, but it is always in the distance, always contain change, loss and eternal...... Tibetan land has become my immortal spiritual home and creative source. Mount Huangshan is the sacred place of Chinese landscape painting. 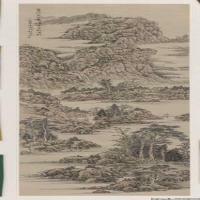 In 1978, to Mount Huangshan sketch, and had the honor to meet the famous Japanese painter Mr. Kaii Higashiyama. Since then many times to Mount Huangshan sketch. In 2007, the Mount Huangshan Scenic Area Management Committee of Mount Huangshan Academy of painting and calligraphy, I was invited to the Academy of painting and calligraphy, and the continuation of the Mount Huangshan more love, but also take up the picture of good Mount Huangshan, Mount Huangshan dedication responsibility. 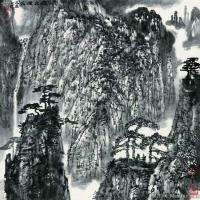 Mount Huangshan and Anhui has become an important opportunity for me to explore the landscape painting with content. "Painting" is an important part of nature gives artists will be moved with the traditional stylized forms and personal aesthetic choice connected, is the natural and traditional discovery and understanding of landscape painting, is an important part of the basic training, the most vigor and vitality. Sketch makes the artist's mind face the ever-changing objective world, can make the traditional and contemporary culture and personal performance experience collide, stimulate infinite creative inspiration, promote the new discovery of aesthetic field. Tibet left more than 10000 photos, has become an indelible memory of my life. With the passage of time, still deeply touched by these memories, began to explore the reproduction of the filled with inspiration and passion pictures in print language. In the process of creation, the statues and scriptures carved in stone, printed on the flags of Tibetans as the generation with endless life, with a sincere heart, the eternal memory of continuous track, in order to express Tibet deep admiration and moved. "Ink painting" is the main language way of Li Xiaoke's art career choice, also is the margin: father, landscape, Chinese painting performance...... It bears the characteristics of Oriental culture. "Homeland" is the nature of our times and survival, traditional culture is also a "home". When you go in, it will bring you deeply touched and infinite performance space. It is difficult for artists to transform this kind of movement into personalized and stylized painting language, which needs to be realized and implemented by the attitude of "art is bigger than the sky". My father speak of "thousand difficult easy" and "bitter" school "real wisdom" indicates that the painstaking process of "learning"; "asked" to learn "into" is the insistence of Li Xiaoke; "no" is the sentiment in Chinese ink painting for many years; "absorb" "use" is Li Ke towards foreign culture and contemporary visual experience. He has been trying to connect the traditional and nature, life, and constantly look for new possibilities ink performance. He thought that art started from moving, and art is the trace of life. When we look back on ourselves, we seem to be a traveler on the journey of life, a work that the traveler has done on the road of exploration ".